It’s finally here. After months of planning and building and learning and fixing and hiring and spending, TechCrunch TV goes live right… NOW. 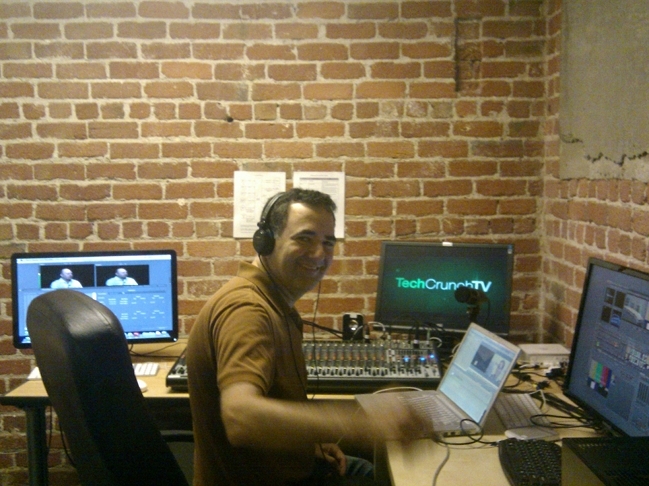 Broadcasting daily from our fully-featured San Francisco studio, TechCrunch TV will be packed with some of the most recognizable and inspiring faces in tech. The entrepreneurs, the investors, the developers — everyone in fact who is helping to change the world, one start-up at a time. We’ll also be travelling the country (and the world), livecasting major events, visiting start-up offices and generally poking our cameras into every corner of the tech globe. TechCrunch TV will be littered with familiar TC faces – Mike Arrington, Sarah Lacy, MG Siegler, Jason Kincaid – either as show hosts or regular guests, plus we’re thrilled to have signed up some amazing names from outside of TC to host their own shows, including author Andrew Keen (whose debate show, Keen On, airs every Monday) and entrepreneur/investor, Cyan Banister (the first episode of her interview show ‘Speaking Of…’ airs Thursday). Behind the scenes, TechCrunch has invested big in the project, reflecting Mike and Heather‘s vision of a multi-platform TechCrunch. Not only have we built an awesome studio – connected to our distribution partners Brightcove and Ustream – but we’ve also hired Jon Orlin (below, right), previously at CNN and Yahoo, as Production Director (welcome Jon!). Jon joins a team which includes Evelyn Rusli (previously at Forbes) as breaking news anchor/producer, Producer Sophia Kittler and TCTV Intern Shirin Ghaffary. My official role is Creative Director which means, as well as being responsible for pulling together all of the various elements into one coherent channel, I’ll be on the look out for new show ideas and ways we can improve our current line up. Your suggestions, as always, are very welcome. In true start-up style, we’re launching with a limited beta service: about 40 minutes of original programming a day, supported by a wealth of previously recorded shows so there’s always something interesting to watch at TechCrunch.tv. The ‘live’ channel is also available on mobile, right here. And of course all of our shows – along with just about every video TechCrunch has ever made – will be available on demand; fully embeddable and sharable. Right now our on demand catalog includes highlights from TechCrunch Disrupt and TechCrunch 50, plus a variety of keynote interviews and profiles, with more being added every day, including new shows as soon as they’ve aired. There’s plenty more to say about TechCrunch TV, but if video really is the future then a blog post doesn’t seem the right way to do it. Instead I sat down in our brand new studio with TCTV’s own Evelyn Rusli (who is anchoring our daily news discussion show, as well as producing a variety of special feature segments) and explained some of the thinking behind TCTV before giving a tour of our new studio to explain – sort of – how it all works. Enjoy! 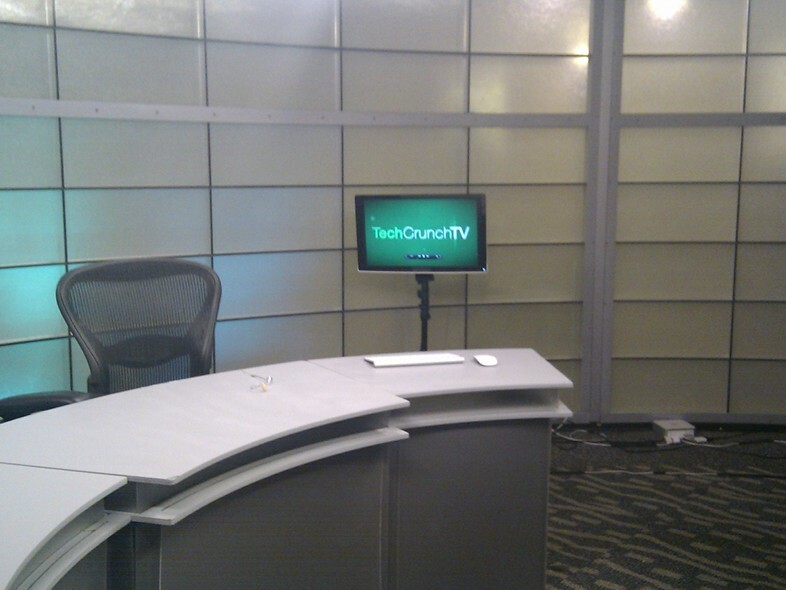 And don’t forget to send us your feedback: onair@beta.techcrunch.com, or via twitter – @techcrunchtv.